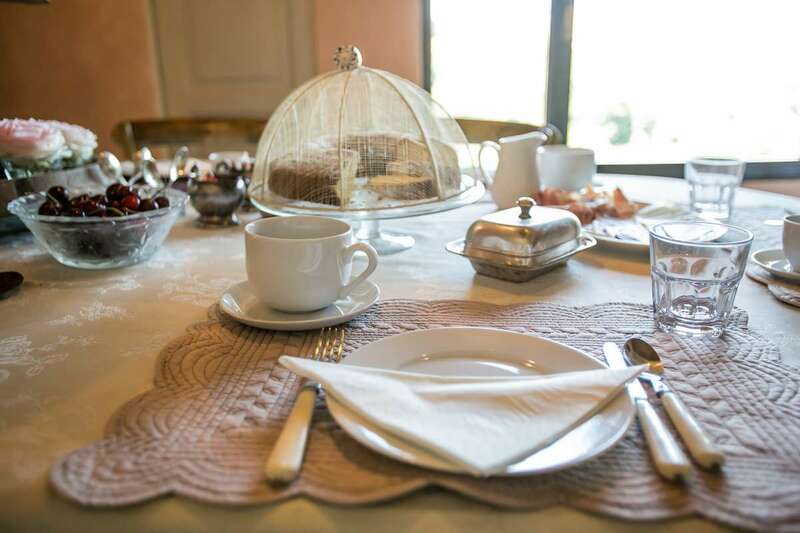 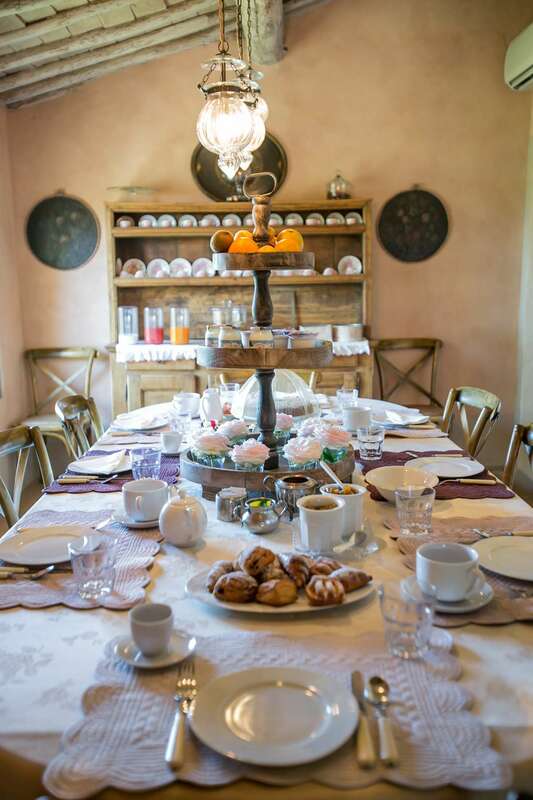 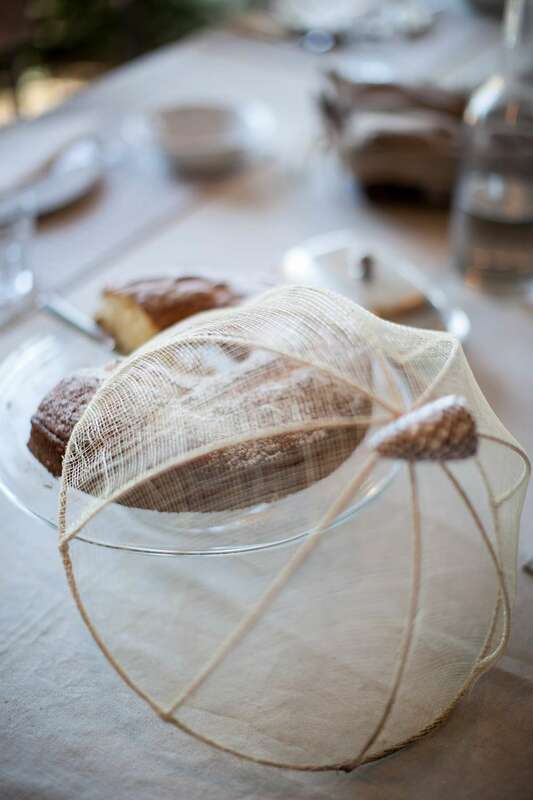 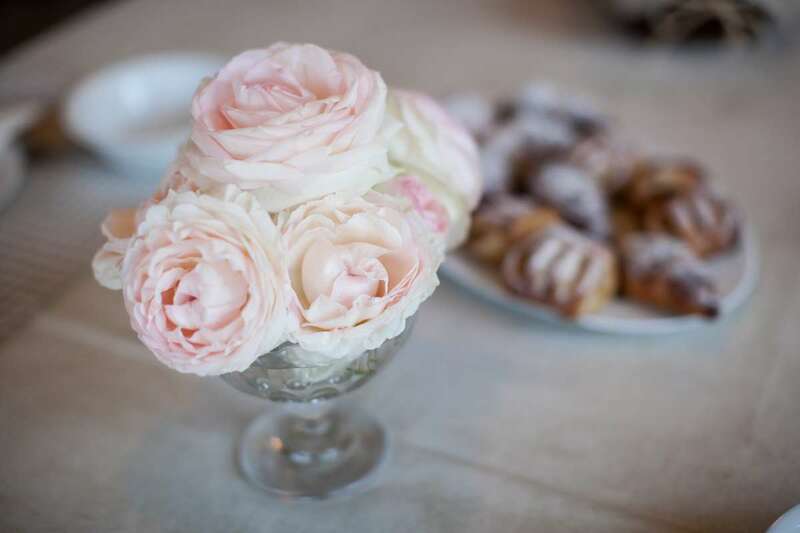 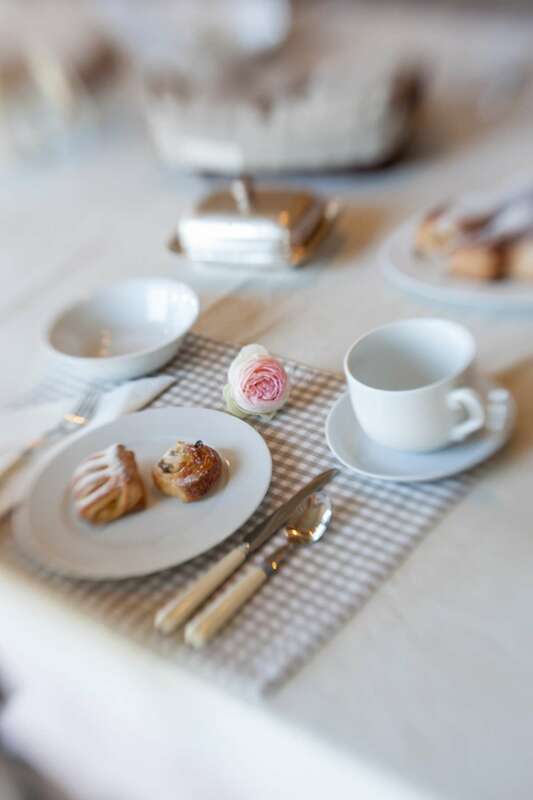 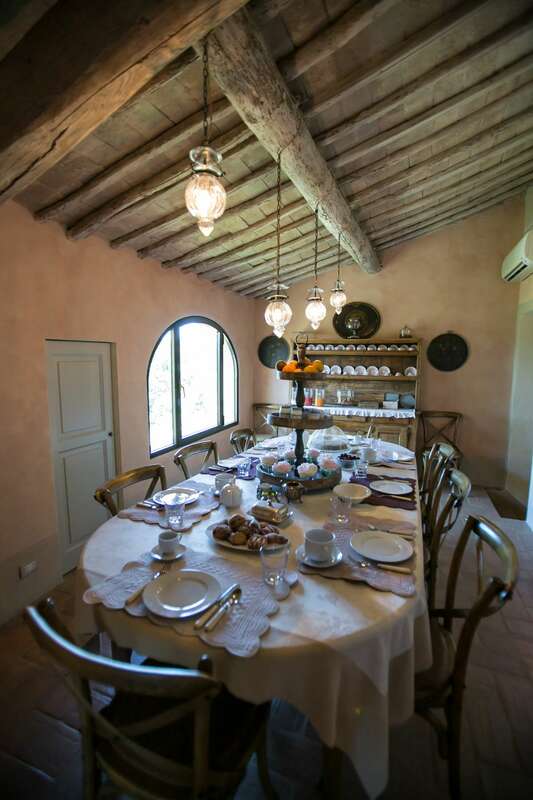 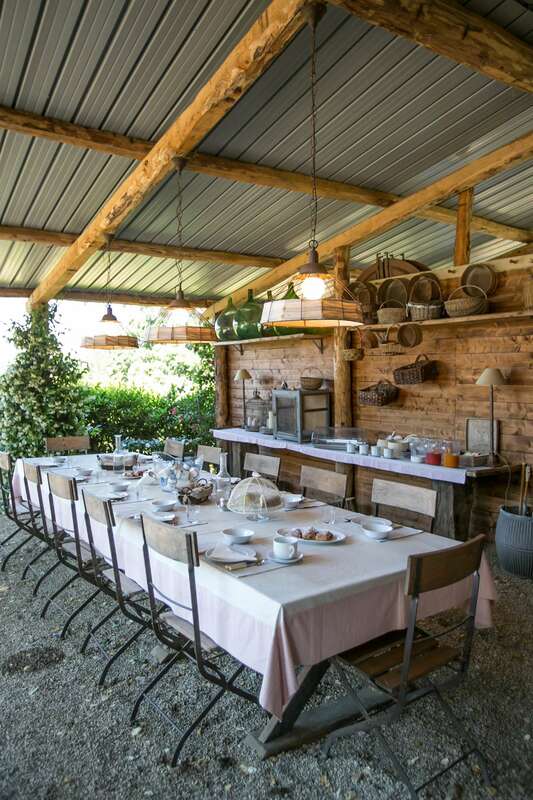 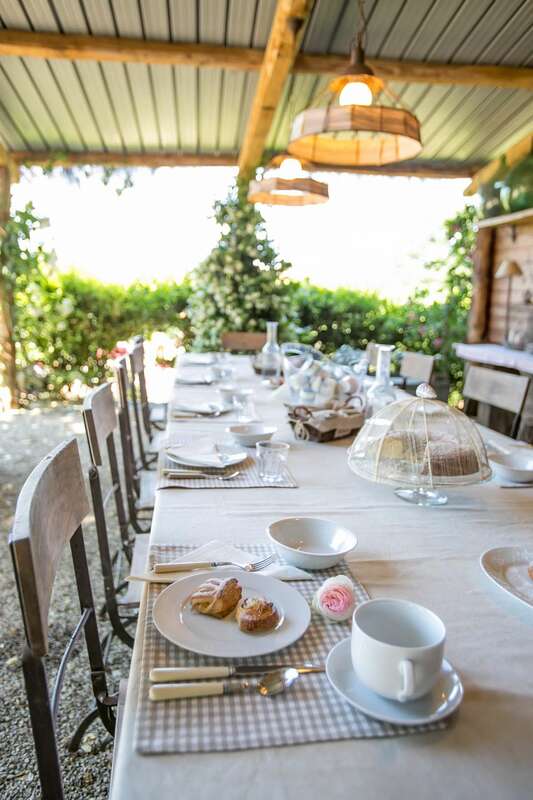 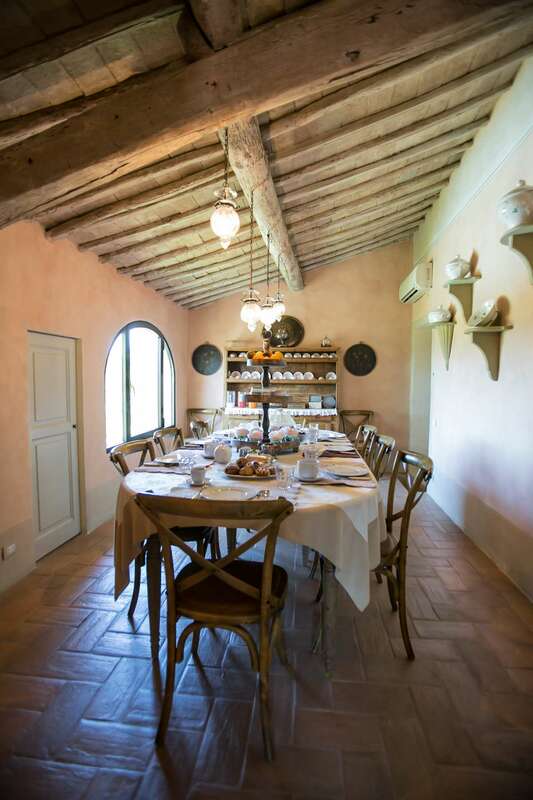 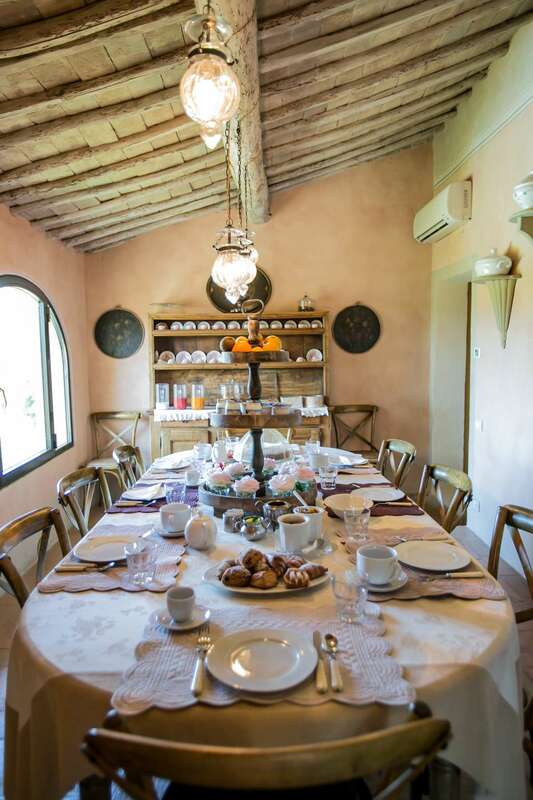 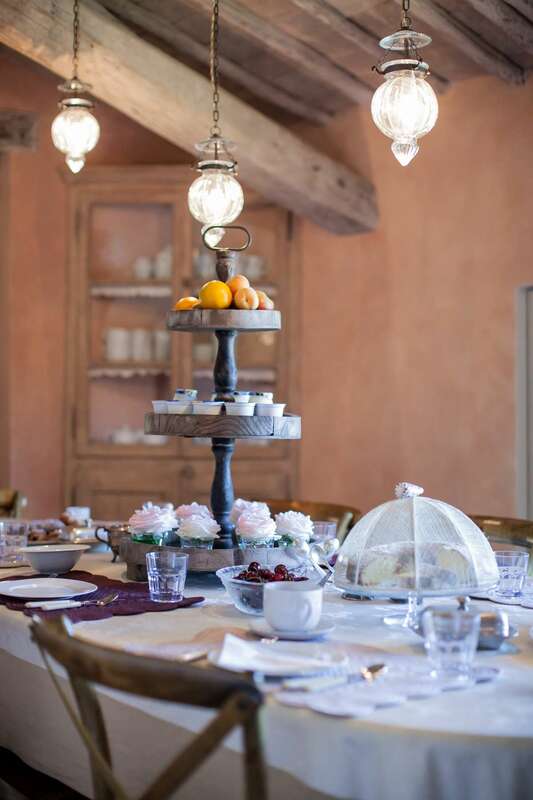 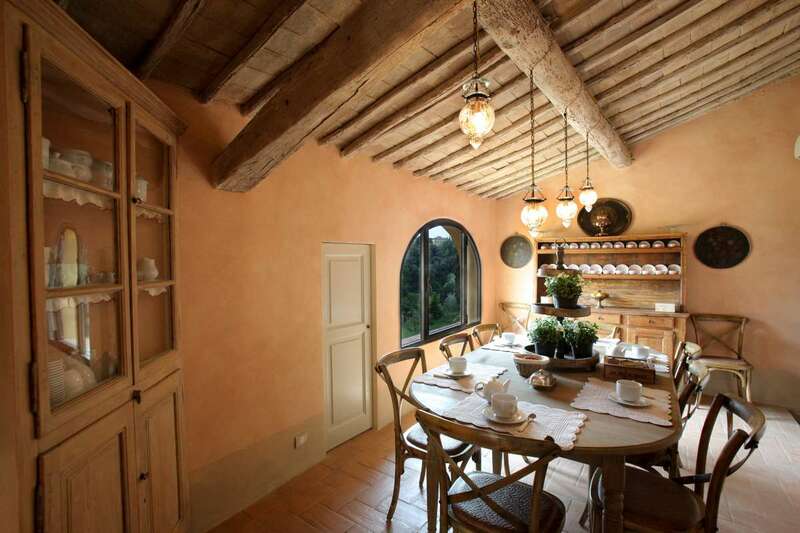 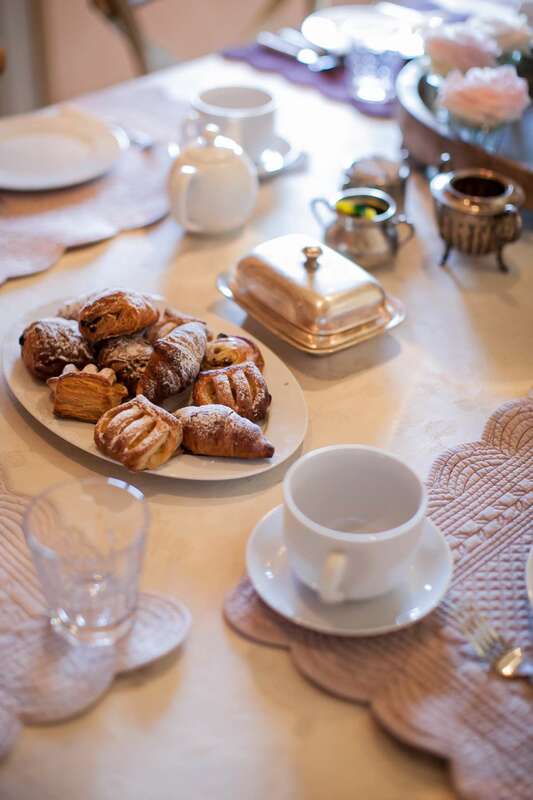 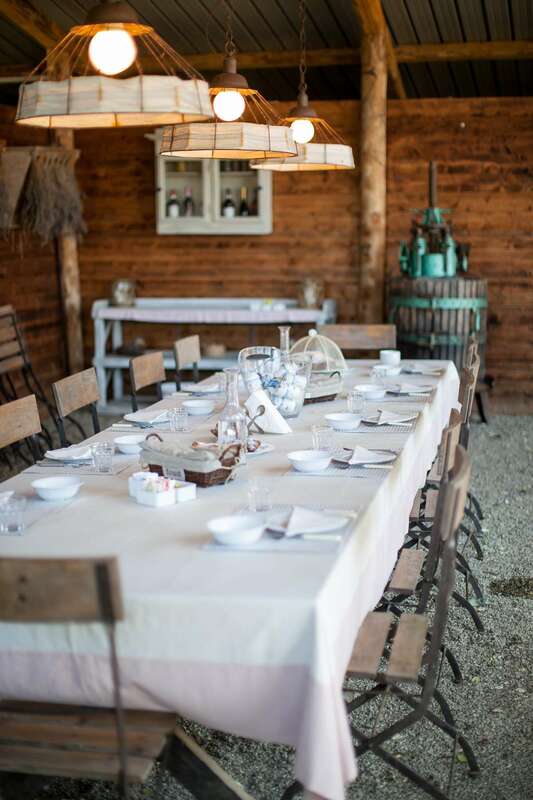 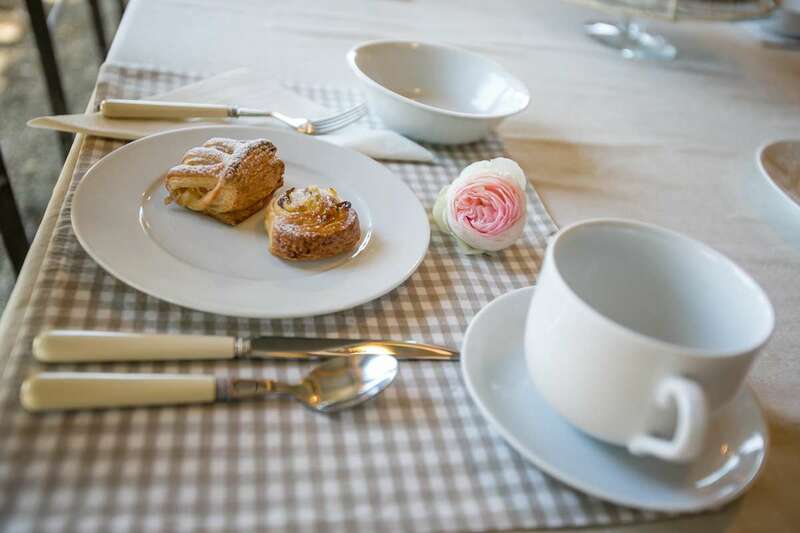 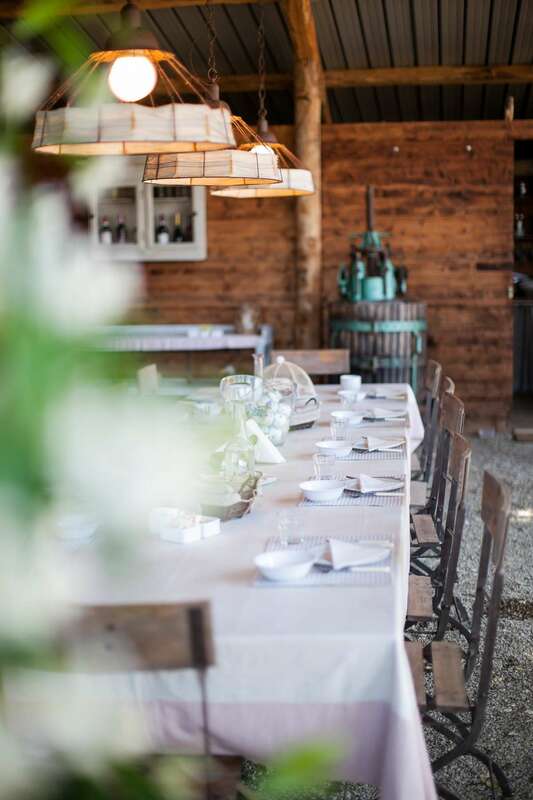 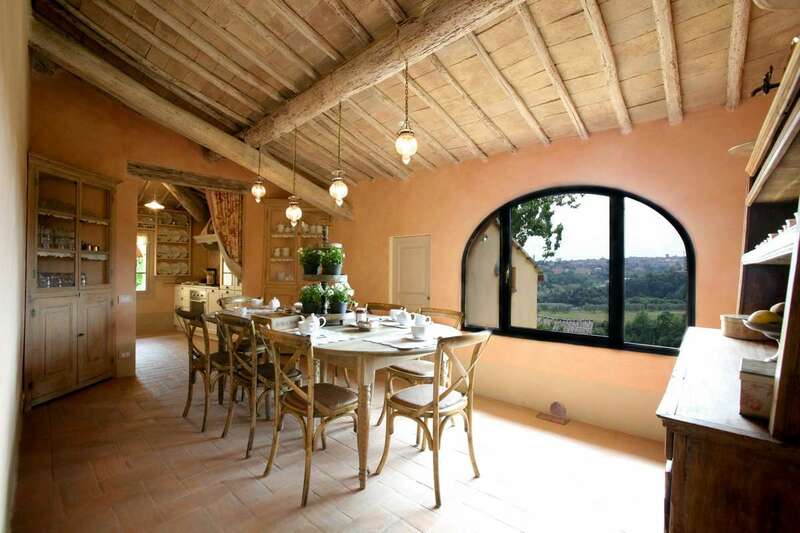 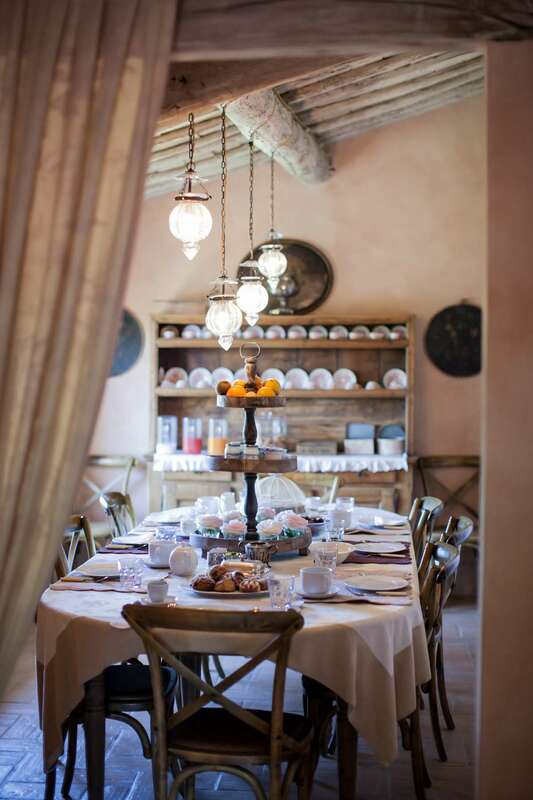 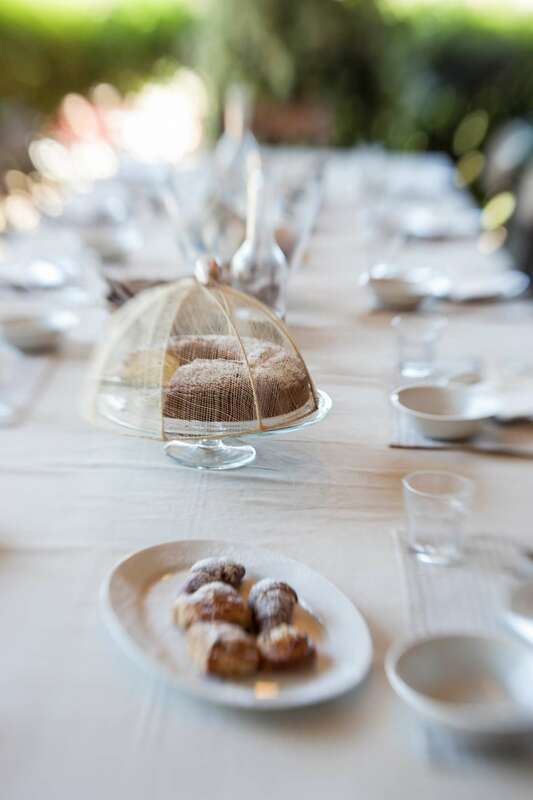 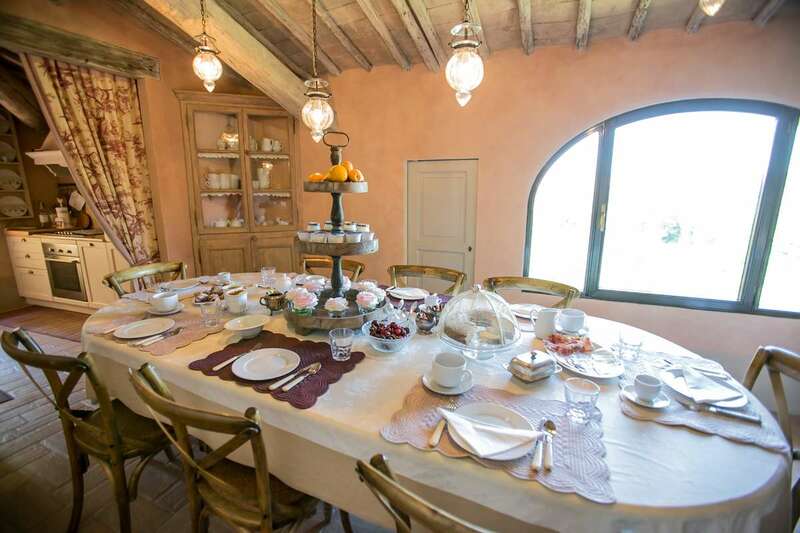 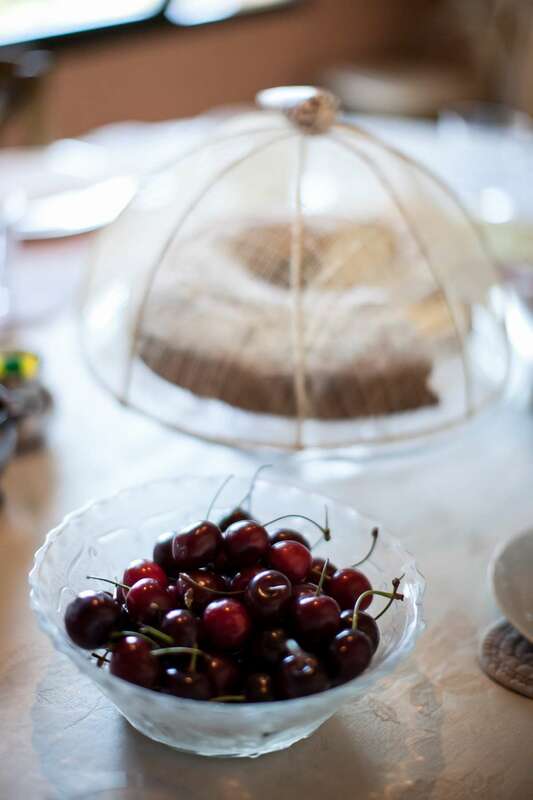 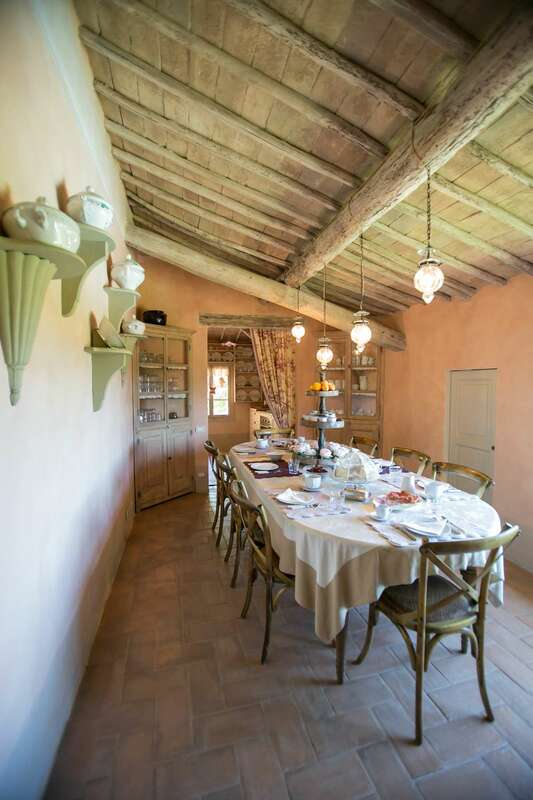 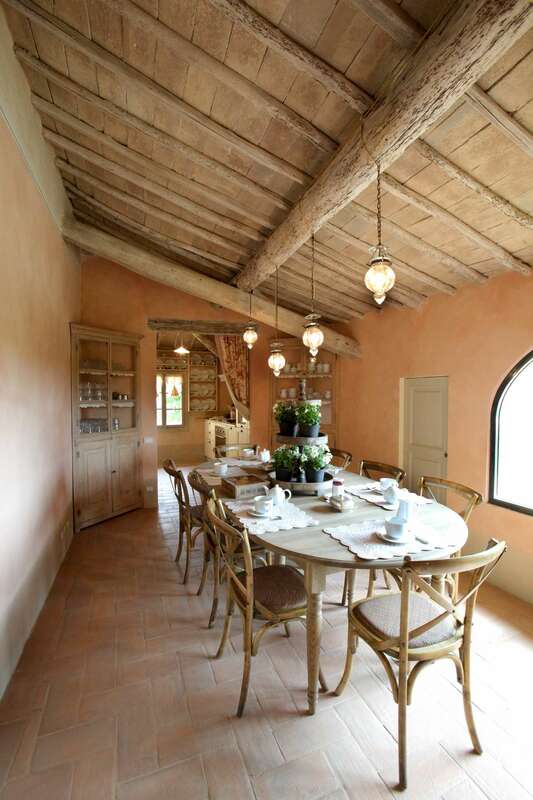 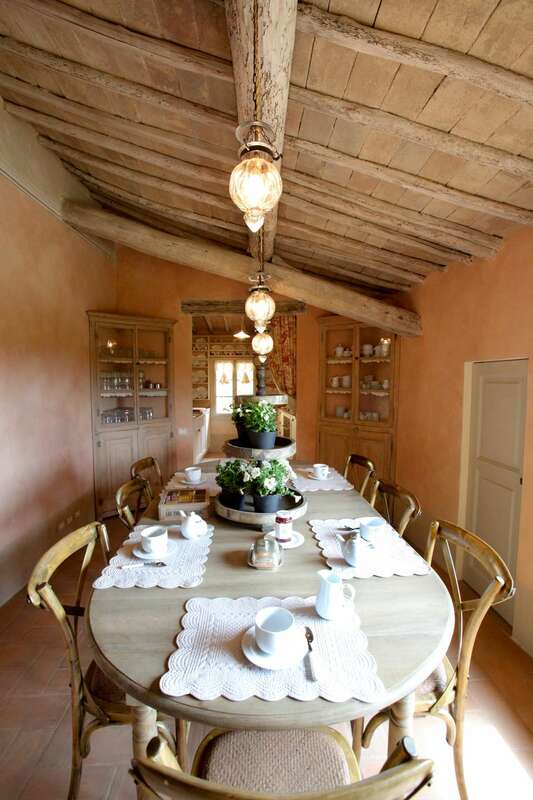 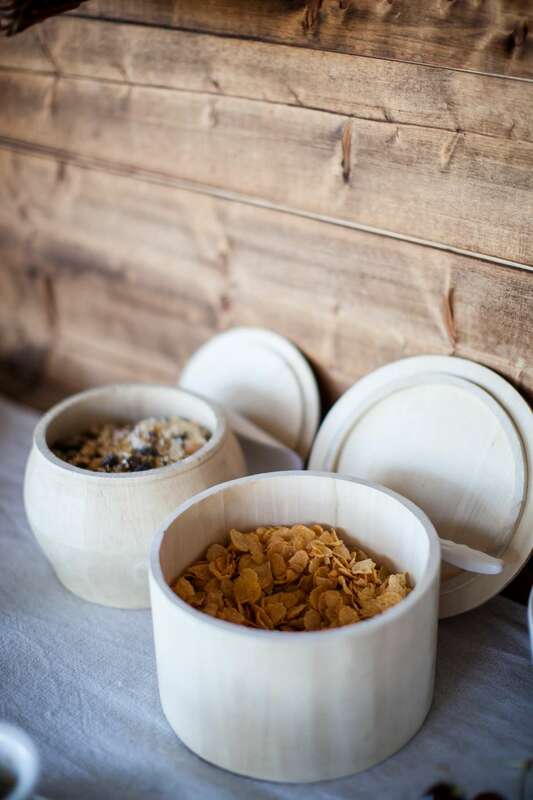 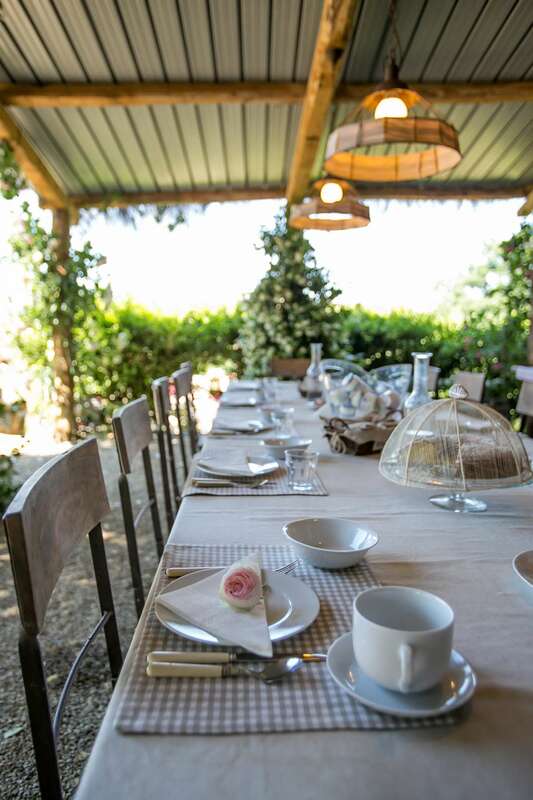 Breakfast for our guests is served at a big table: in winter in the upstairs dining room with panoramic window, in summer in a covered outdoor space with stunning view of Siena. 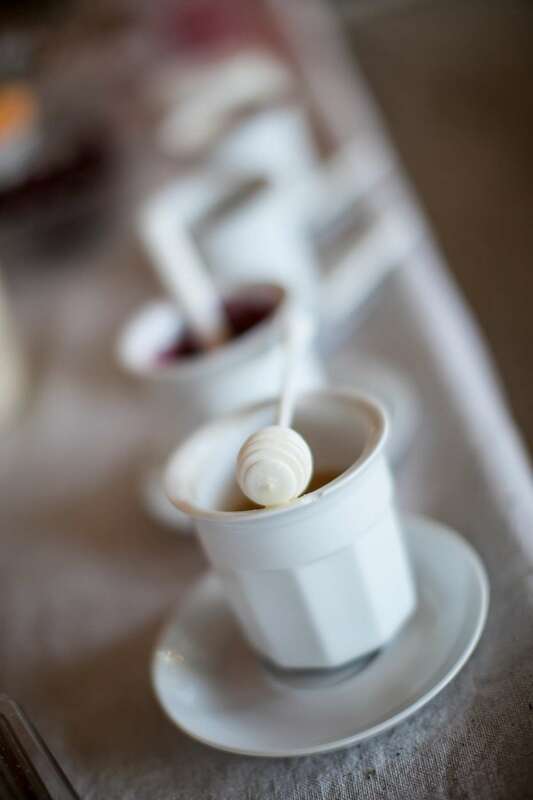 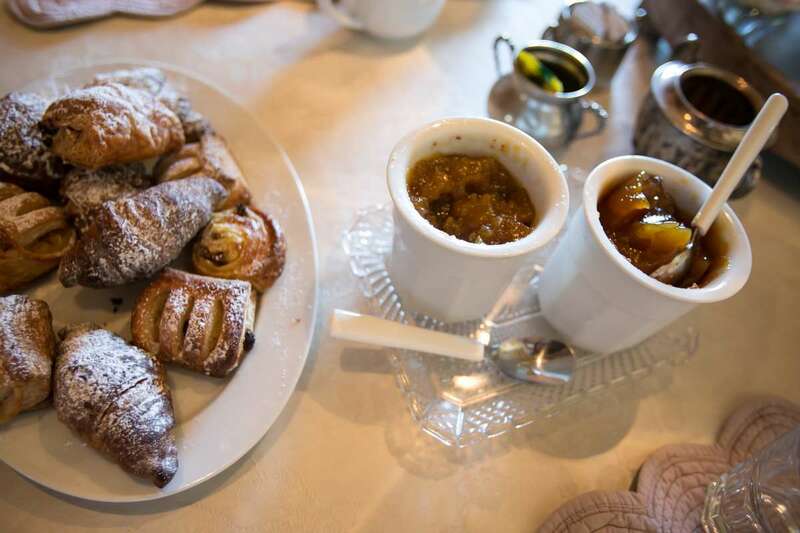 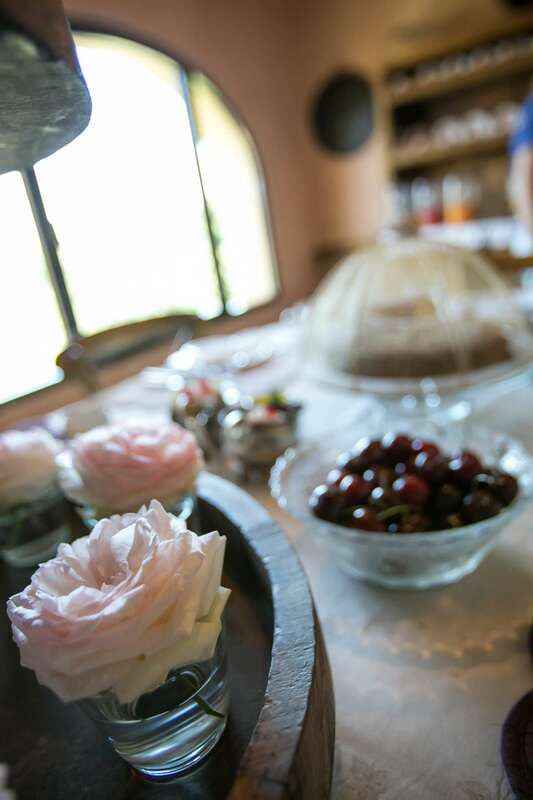 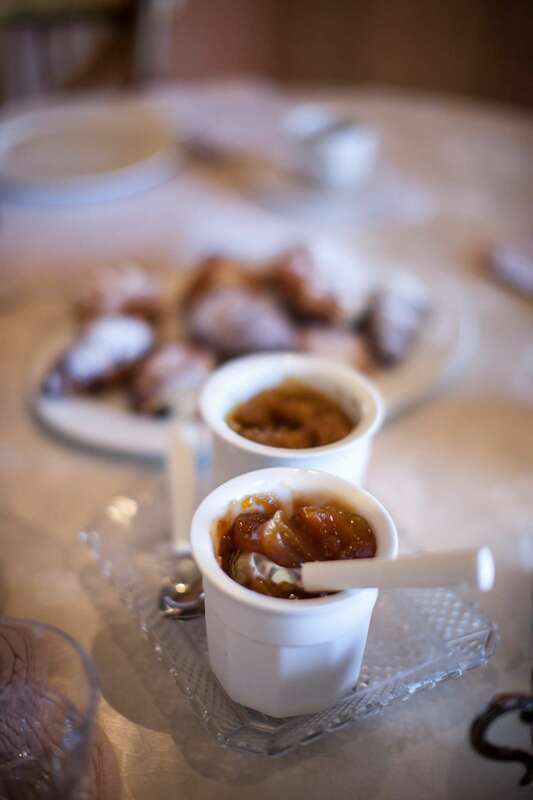 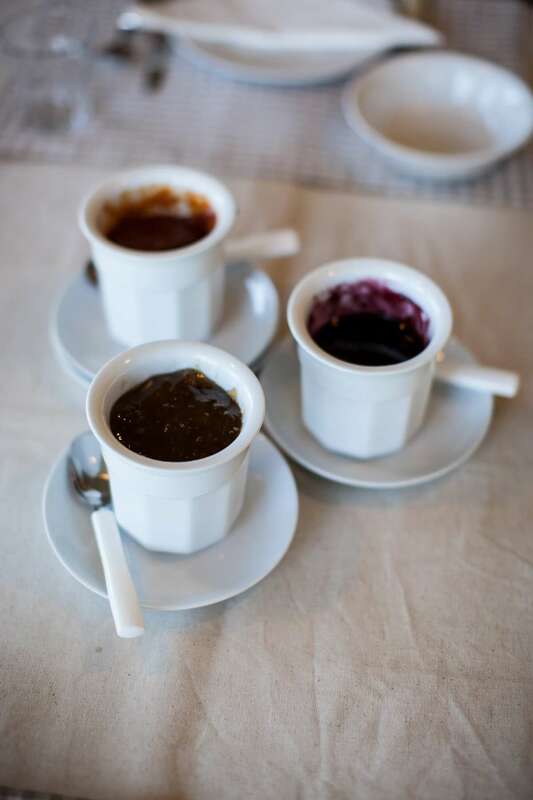 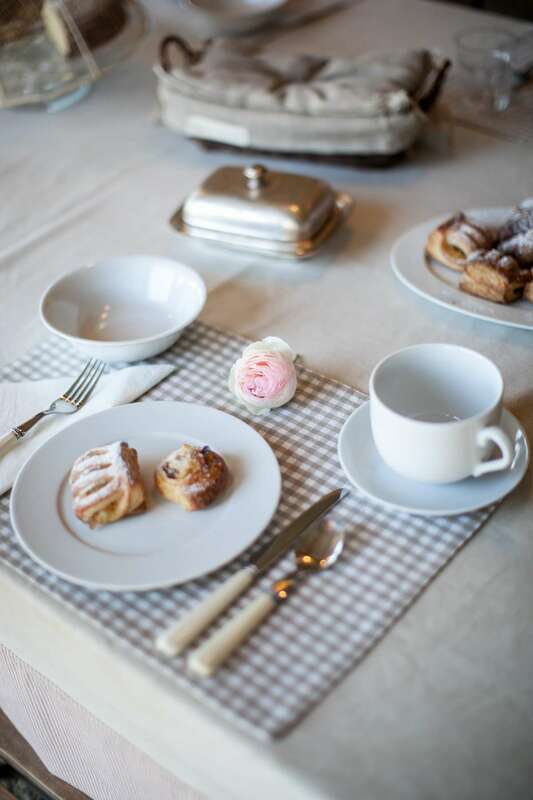 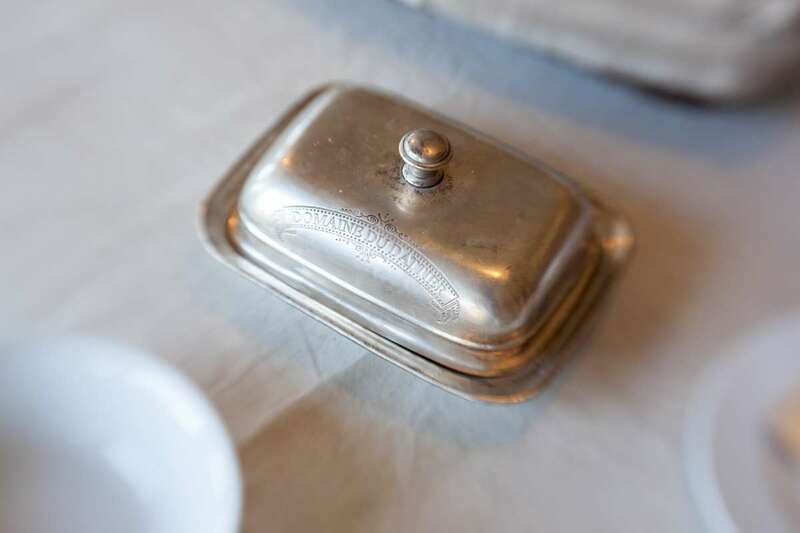 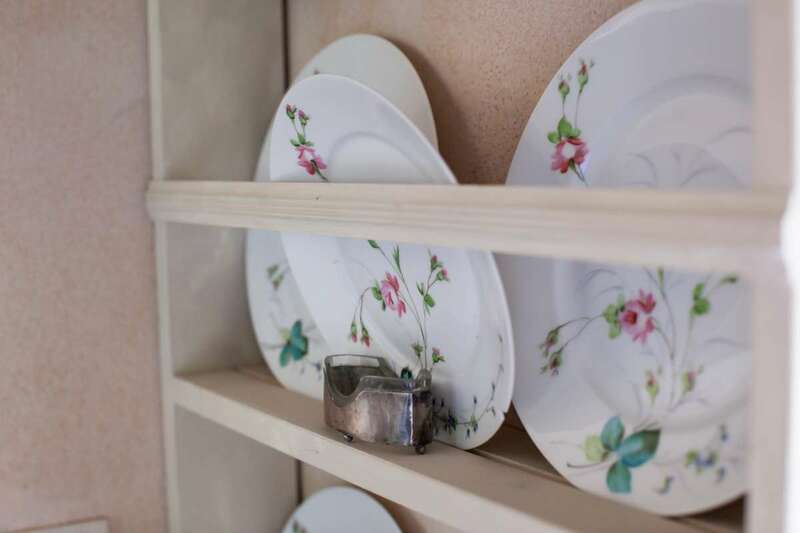 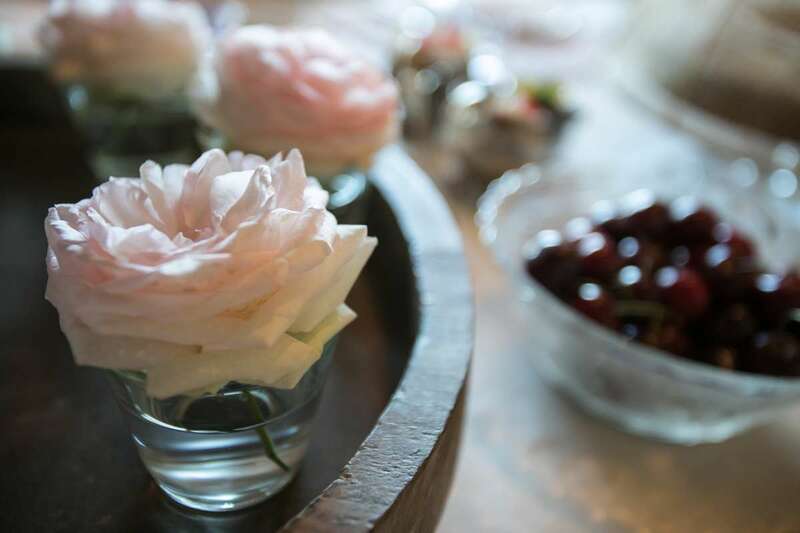 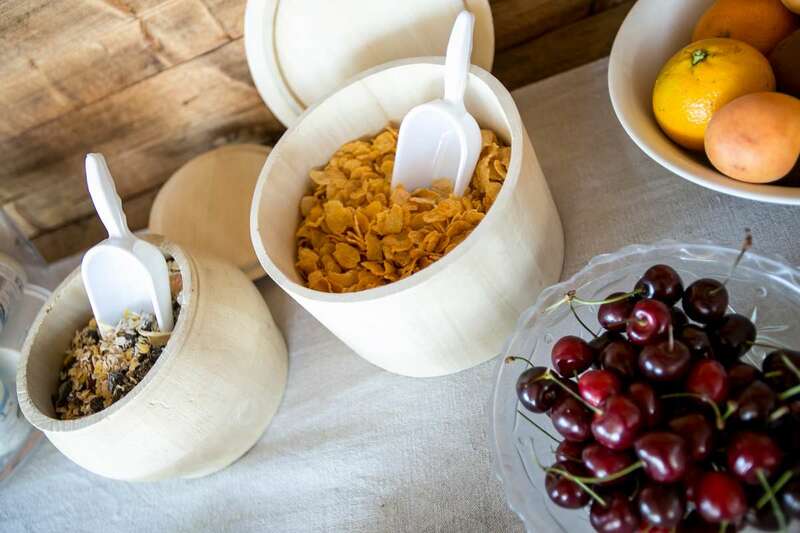 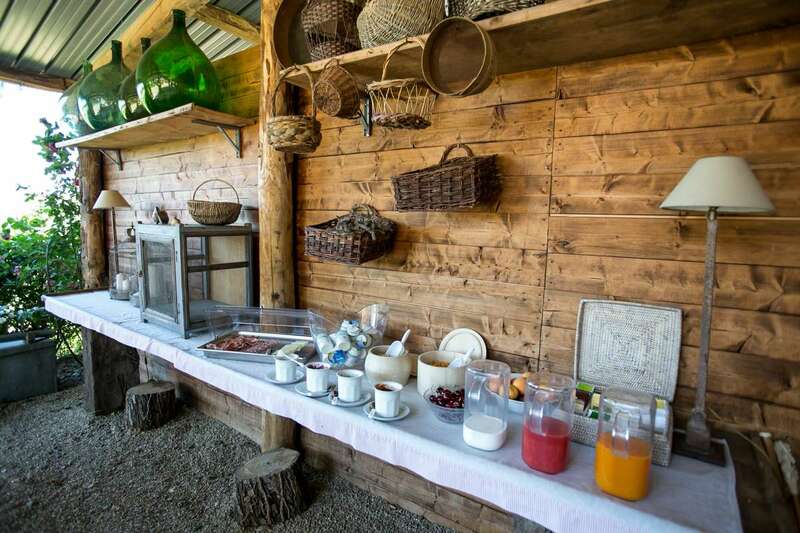 A small buffet with classical continental offer is completed with typical local produce and homemade jams. 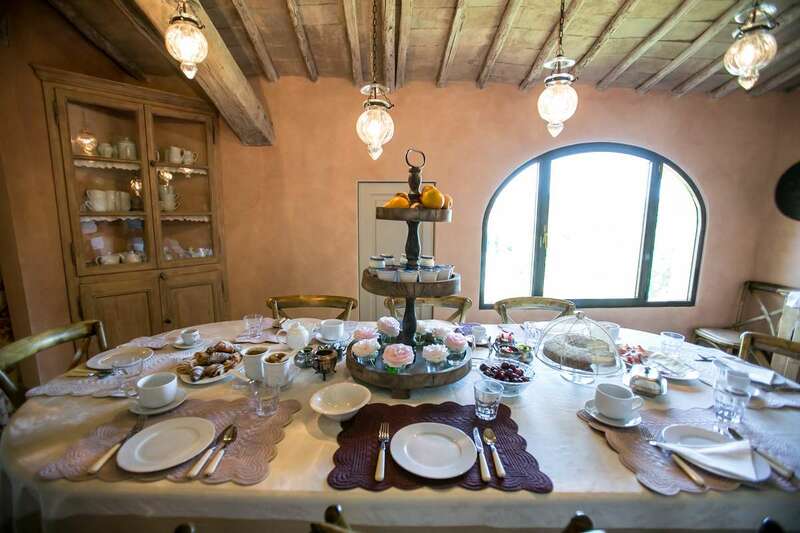 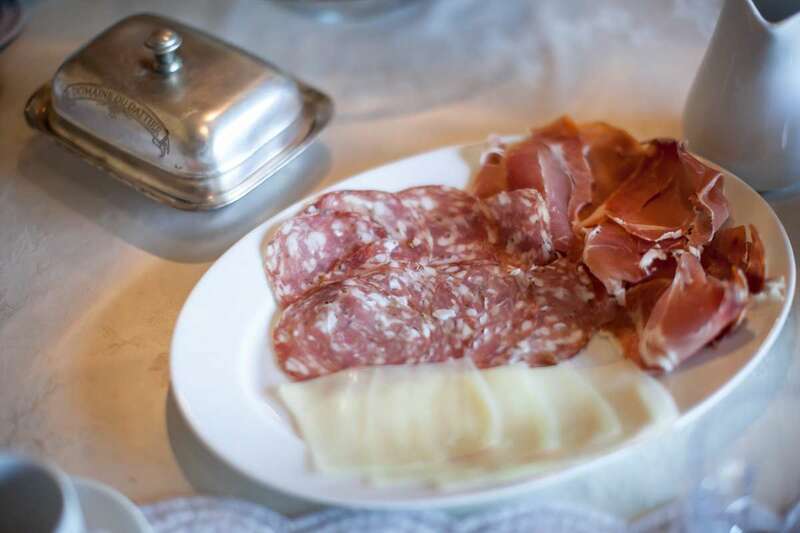 The offer comprises Tuscan ham, salami and cheese, scrambled eggs, yogurt, juices und fresh fruit, pastries and sometimes even homemade cakes. 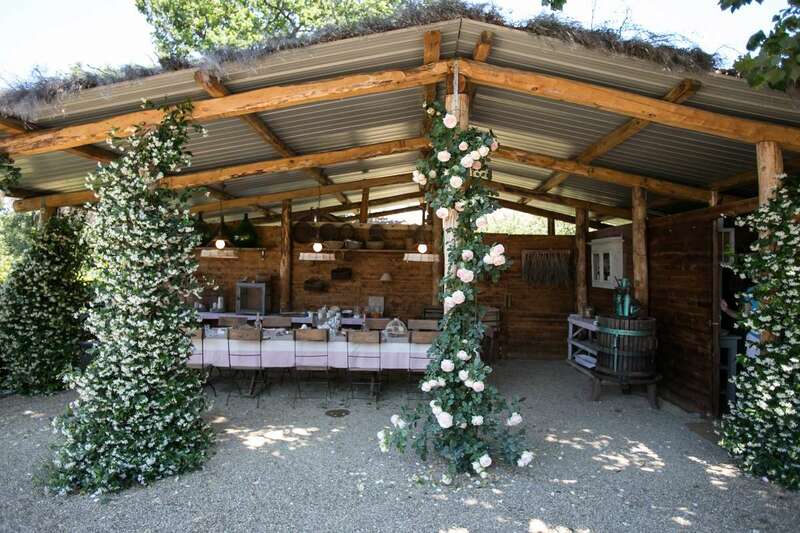 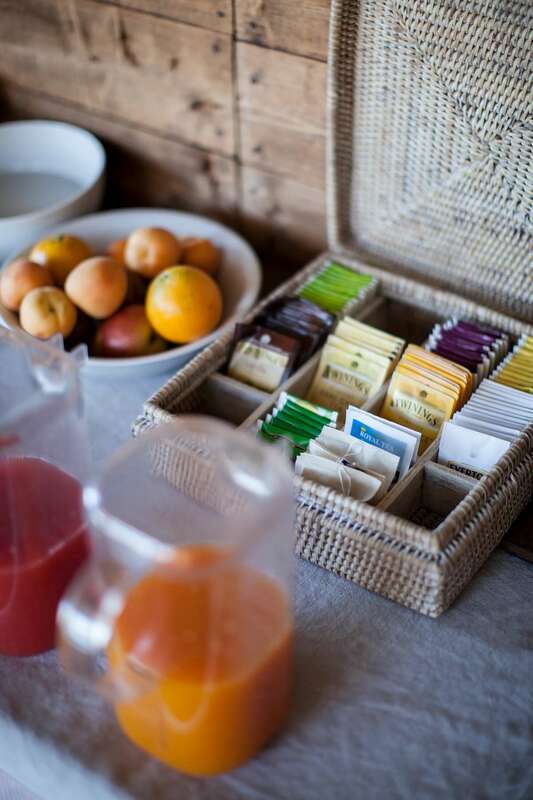 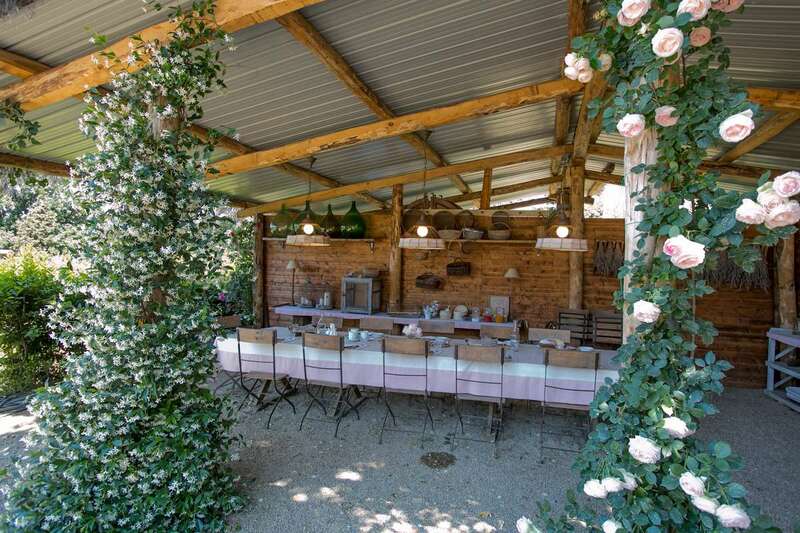 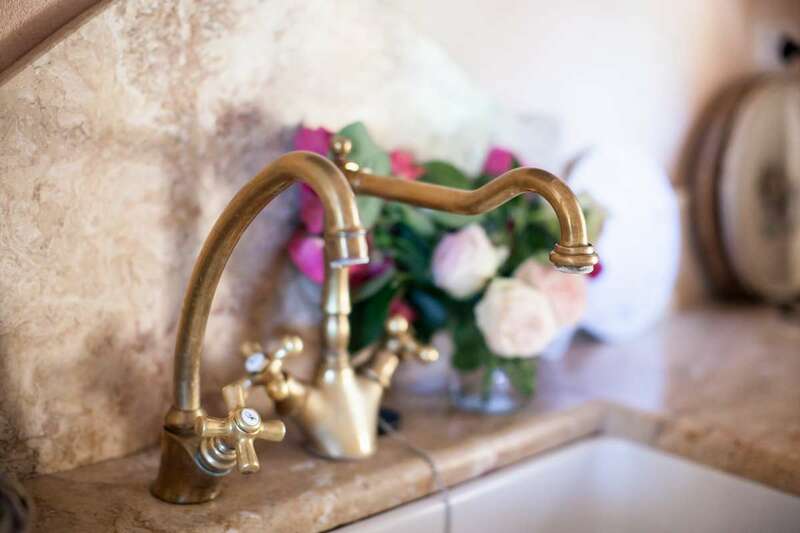 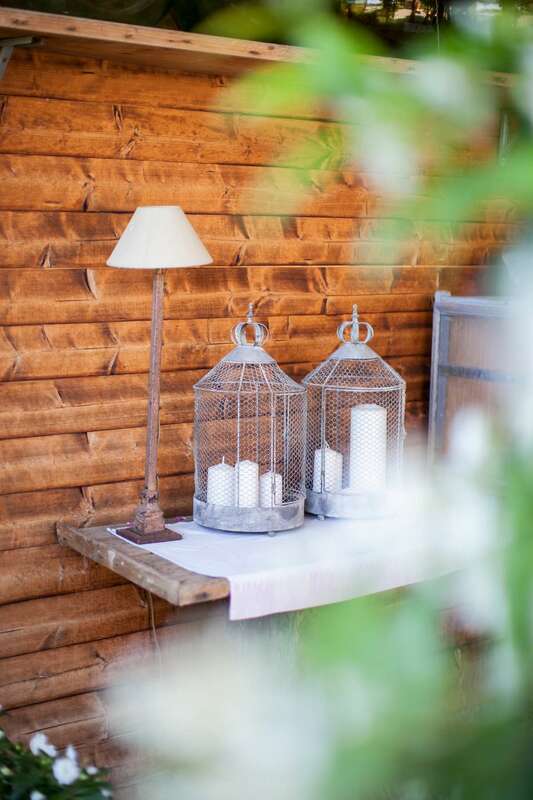 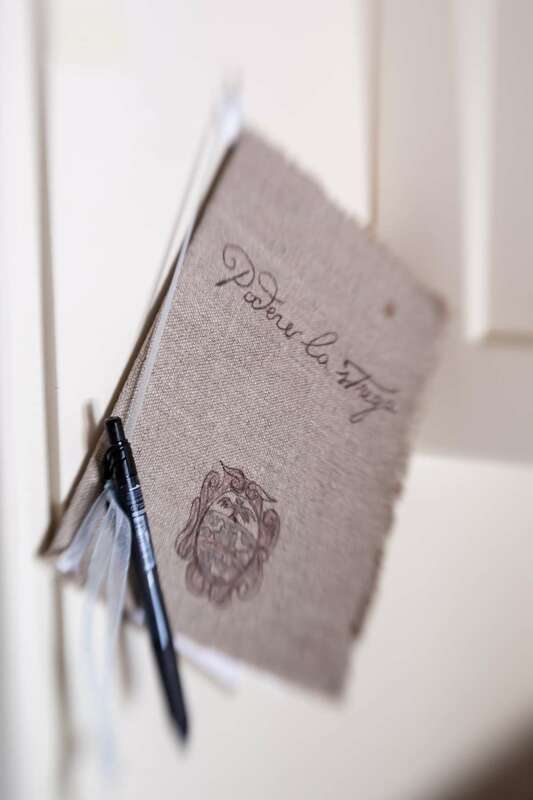 In summer, our guests can taste freshly harvested vegetables from our kitchen garden and freshly prepared smoothies.